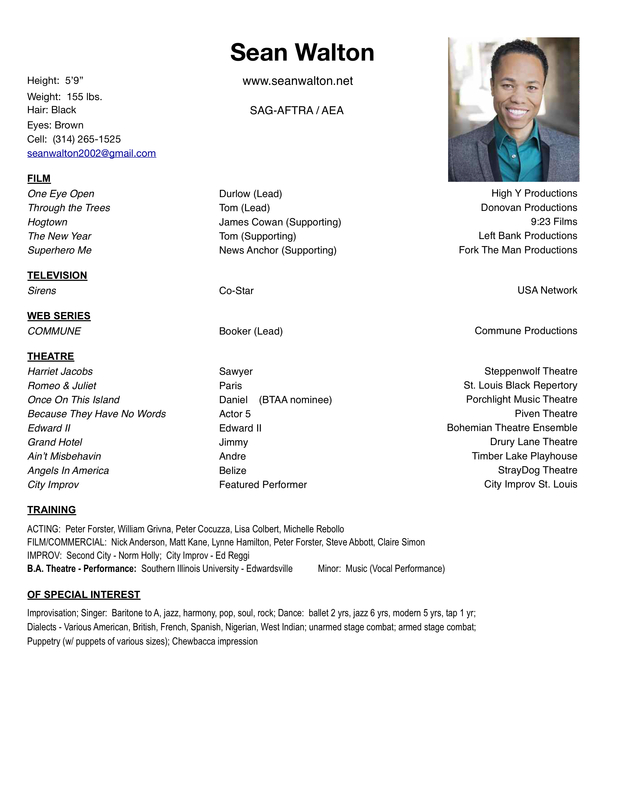 Resume : Sean Walton – Actor. Writer. Adventure seeker.